Createspace Independent Publishing Platform, 9781537726410, 142pp. "The Soul of Art" invites professional and aspiring artists, writers, composers, singers, actors, dancers, musicians (of all instruments and genres), playwrights, fimmakers, potters, quilters, et al., to reflect on the intimate relationship between their gifts and talents and the Creator-Spirit, who inspires them and uses their creations to speak hope, love, and compassion to the whole world. 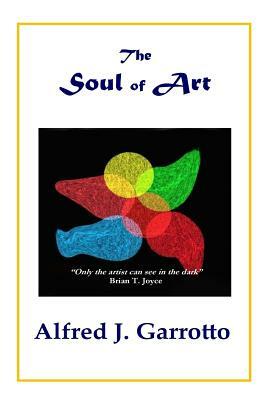 The arts in all their genres are Alfred J. Garrotto's lifelong passion. Born into a theatrical family of singers, dancers, and actors, he began working in films (crowd scenes) at the age of seven. Much later, he settled into a writing career. The author of 12 books (both fiction and nonfiction), he lives and writes in the San Francisco Bay Area.